Sydney University and Blues opening batsman Nick Larkin. Leading run-scorer for the NSW Blues in the JLT Sheffield Shield this season, Nick Larkin, will return for Sydney University in round four of the First Grade Limited-Overs Cup on Australia Day this Saturday. Larkin has scored 494 runs at an average of just under 50 after six rounds of the Shield. He has not played for the students since the loss to Sutherland in the Grand Final of the Kingsgrove Sports T20 Cup. The Blues opener will join former Australian Test opening batsman, Ed Cowan, in the Sydney University side for the match against Campbelltown-Camden at University Oval. Blues captain Peter Nevill is another former Test cricketer to be named for the upcoming round of One-Day fixtures. The former Australian wicketkeeper will captain Eastern Suburbs against Randwick Petersham. The upcoming round also coincides with round 11 of the McDonald’s NSW Premier Cricket Belvidere Cup. Larkin played eight matches for the Melbourne Stars during BBL|08. He made 159 runs at a strike rate of 116.05. 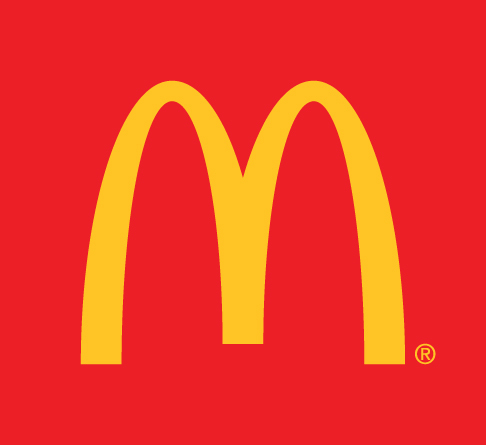 During the previous two seasons, Larkin has also made in excess of 1,000 runs for Sydney University in McDonald’s NSW Premier Cricket. Sydney University are currently four points clear at the top of the Premier Cricket table and, in second place on the Limited-Overs Cup ladder, one point behind Sydney. Leg-spinner Devlin Malone has been a key component to that success. He is the leading wicket-taker with a remarkable 45 wickets from 17 matches across all forms. The tweaker averages just 16 runs per wicket. Nevill is joined by fellow Blues Harry Conway, Henry Thornton and rookie Baxter Holt in the Easts squad for their match at Waverley Oval. 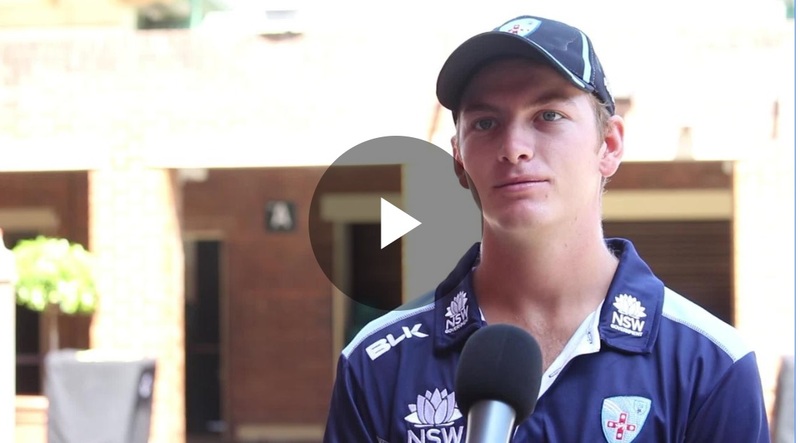 WATCH: NSW Blues rookie Baxter Holt speaks about his six catches in an innings. The Dolphins are yet to register a win from three matches in the Limited-Overs Cup. Manly-Warringah welcome back the Edwards brothers, Jack and Mickey, for its match against ladder leaders Sydney. Both Blues have been released by the Sydney Sixers to play at Manly Oval on Saturday. It will be the first Premier Cricket match for Jack since round six during mid-November. They will join Sixers development rookie, 18-year-old Ollie Davies and, Blues rookie fast bowler Ryan Hadley in the Manly squad. Sixers off-spinner Ben Manenti returns to the Sydney line-up as captain of the Tigers. He has claimed 24 wickets at 24.58 for his club this season. Manenti made his debut for the men in magenta against the Melbourne Renegades in late December. Fellow BBL debutant this season, Jonathan Cook, will also return as captain of Western Suburbs against Sutherland at Pratten Park. The Sydney Thunder leg-spinner has the best economy rate of any bowler for his franchise in BBL|08. He has conceded 6.69 runs per over during his seven games and picked up six wickets. Blues and Sixers leg-spinner Daniel Fallins has been named for the men from the Shire. Fallins continues to add to his Premier Cricket wicket tally this season with 38 scalps at 17.9 from 17 games. Australian Under 16 allrounder Nivethan Radhakrishnan has been named for Hawkesbury for their match against Bankstown. The ambidextrous spinner has recently returned from Dubai where he represented the Australian Under 16s in four of five Youth One-Day Internationals and a one-off T20 match against Pakistan. Radhakrishnan claimed eight wickets from his five matches including best figures of 3-32. He also made some handy scores with the bat scoring over 170 runs from five visits to the crease including one half-century. Hawkesbury will be captained by former Australian One-Day and Blues batsman Peter Forrest. Blues seamer Charlie Stobo returns to the Gordon side for their match against St George at Chatswood Oval. 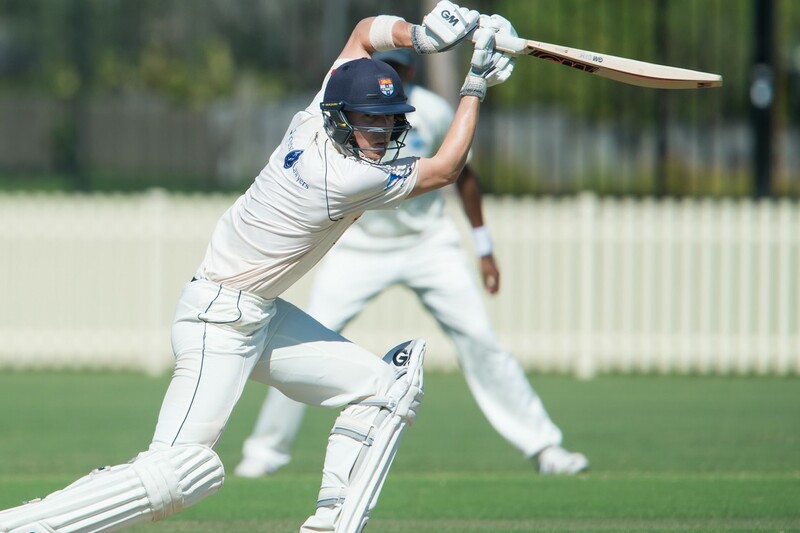 Over the last two weeks, Stobo has played Fourth and Third Grade exclusively as a batsman building up to a return from injury in the top grade. In his eight matches for the Stags this season, Stobo has claimed 14 wickets at 20.57 including best figures of 6-55 against Blacktown in round two. Allrounder Nick Stapleton will captain the Saints in the absence of experienced Blues seamer Trent Copeland. The Saints currently sit in fourth on the Limited-Overs Cup ladder. Fairfield-Liverpool captain Harmon Sandhu plays his 100th match for the Lions, who take on Blacktown, at Rosedale Oval. The Lions will again feature three Blues in their XI, including pace duo Liam Hatcher and Chad Sammut, as well as off-spinning allrounder Param Uppal. Blacktown is captained by Blues rookie batsman Jordan Gauci. Penrith returned to form during the last round of Premier Cricket with a huge victory over Northern District by an innings and five runs. It will be seeking to continue the winning trend against UNSW, to stay in second place on the Belvidere Cup table and, force its way into the top eight on the One-Day table. Blues and Thunder batsman Ryan Gibson gives Penrith plenty of impetus at the top of the order. After round 10, he had scored 519 runs from 15 matches across all formats at a strike rate of 102.57. Penrith quick Ryan Smith is the leading fast bowler in terms of wickets taken in Premier Cricket this season. He has claimed 38 scalps at 18.82. The Bumblebees are currently in third on the Limited-Overs Cup ladder. In other matches, Blues batsman Nick Bertus will captain Parramatta against Mosman at Allan Border Oval. Bertus has made 866 runs this season for Parramatta at a tick under 80. UTS North Sydney will be seeking their sixth straight win in Premier Cricket when they take on Northern District at Mark Taylor Oval. 9.00am Saturday 26 January 2019. Eastern Suburbs v Randwick Petersham at Waverley Oval. Eastern Suburbs: Peter Nevill (c), Angus Robson, George Furrer, Harry Conway, Samuel Robson, Harry Dalton, Baxter Holt, Henry Hunt, Stuart Meaker, Henry Thornton, Rupert Lilburne. Fairfield-Liverpool v Blacktown at Rosedale Oval. Fairfield-Liverpool: Harmon Sandhu (c), Raveesh Srivastava, Yuvraj Sharma, Param Uppal, Wendel Delpechitra, Jeremy Cashman, Luke Ohrynowsky, Damien Aviet, Liam Hatcher, Chad Sammut, Josh Baraba. Blacktown: Jordan Gauci (c), Daniel Nicotra, Toby Flynn-Duncombe, Dhruv Kant, Matthew Day, Antum Naqvi, James Newton, Gurinderjeet Hara, Abdul Hameed Kherkhah, Salman Irshad, Hunar Verma. Gordon v St George at Chatswood Oval. St George: Nicholas Stapleton (c), Matthew Hopkins, Thomas Ortiz, Peter Francis, Luke Bartier, Jonathan Rose, Adam Whatley, Tom Engelbrecht, Blake Macdonald, Eric Denhartog, Blake Nikitaras. Hawkesbury v Bankstown at Owen Earle Oval. Hawkesbury: Peter Forrest (c), Chris Lawrence, Pat Lawrence, Joshua Clarke, Dale Mckay, Scott Baldwin, Ryan Mizzi, Jake Wholohan, Kerrod Gordon, Aidan Van Den Nieuwboer, Nivethan Radhakrishnan. Bankstown: Michael Stretton (c), Benjamin Taylor, Chris Ridley, Nathan McAndrew, Mitch Brown, Rhys Williams, Daniel Solway, Brendan Smith, Ryan Clark, Nick Carruthers, Matthew Waite, Liam Marshall. Manly-Warringah v Sydney at Manly Oval. Manly-Warringah: Cameron Merchant (c), Ryan Farrell, Logan Weston, Michael Visser, Oliver Davies, Jack Edwards, Ryan Hadley, Joel Foster, Mickey Edwards, Joseph Graham, Aaron Beard. Sydney: Ben Manenti (c), Matthew Rodgers, Ryan Felsch, Anthony Mosca, Stephen Eskinazi, Zak Crawley, Beau McClintock, Nathan Sowter, Nicholas Bills, Hugh Sherriff, Beniamin Mitchell. Mosman v Parramatta at Allan Border Oval. Mosman: Scott Rodgie (c), Jake Fawcett, Jayden Park, Luke Shelton, Lachlan Hearne, Patrick Pisel, Anthony Adlam, Ashley Doolan, Nathan Hinton, Jordan Thompson, TBC. Parramatta: Nicholas Bertus (c), Timothy Ward, Ben Abbott, Trent Crittenden, Brenton Cherry, Adam Turrell, Liam O'Farrell, Scott Copperfield, Ben Martin, Liam Lofts, Bradley Taylor. Northern District v UTS North Sydney at Mark Taylor Oval. Northern District: Ben Davis (c), Nathan Smith, Nic Badings, Chad Soper, Tom Felton, David Lowery, Daniel Anderson, Oliver Hing, Ajaypal Singh, Christopher Wright, TBC. UTS North Sydney: Thomas Jagot (c), Adam Crosthwaite, James Crosthwaite, Robert Aitken, James Aitken, Ryan Van Kemenade, Benjamin Bryant, Matthew Alexander, Tim Reynolds, James Campbell, Toby Lester, Justin Avendano. Penrith v UNSW at Howell Oval. Penrith: John DiBartolo (c), Brent Williams, Ryan Gibson, Luke Hodges, Ryan Fletcher, Tyran Liddiard, Trent Weir, Brent Atherton, Cameron Weir, Henry Railz, Tom Sargeant. UNSW: David Dawson (c), Harry Brook, William Wolter, Marcus Atallah, Joseph Byrnes, Tahmidul Islam, Thomas Byrnes, Suthangan Thanabalasingam, Hayden McLean, Thomas Scoble, Declan White. Sydney University v Campbelltown-Camden at University Oval. Sydney University: Liam Robertson (c), Nicholas Larkin, Hayden Kerr, Damien Mortimer, Ed Cowan, Ryan McElduff, Tim Cummins, Dugald Holloway, Joe Kershaw, Timothy Ley, Devlin Malone. Campbelltown-Camden: Jarrad Burke (c), Philip Wells, Aaron Yabsley, Jake Cormack, Jaydyn Simmons, Jarred Lysaught, Jordan Browne, Luke Webb, Iain Carlisle, Tanveer Sangha, Oliver Robinson. Western Suburbs v Sutherland at Pratten Park. Western Suburbs: Jonathan Cook (c), Adrian Isherwood, Michael Tudehope, Nicholas Cutler, Samuel McMahon, Isaac Taylor, Quincy Titterton, Connor Blaxall-Hill, James Psarakis, Liam Sparke, Joel Abraham. Sutherland: Chris Williams (c), Jarryd Biviano, Jamie Brown, Tom Doyle, Aiden Bariol, Austin Waugh, Luke Hawksworth, Daniel Fallins, Tom Pinson, Jake Wilson, Jayden Brown.